Rockstar is adding some new stock to the custom mod shop, Benny's Original Motor Works. 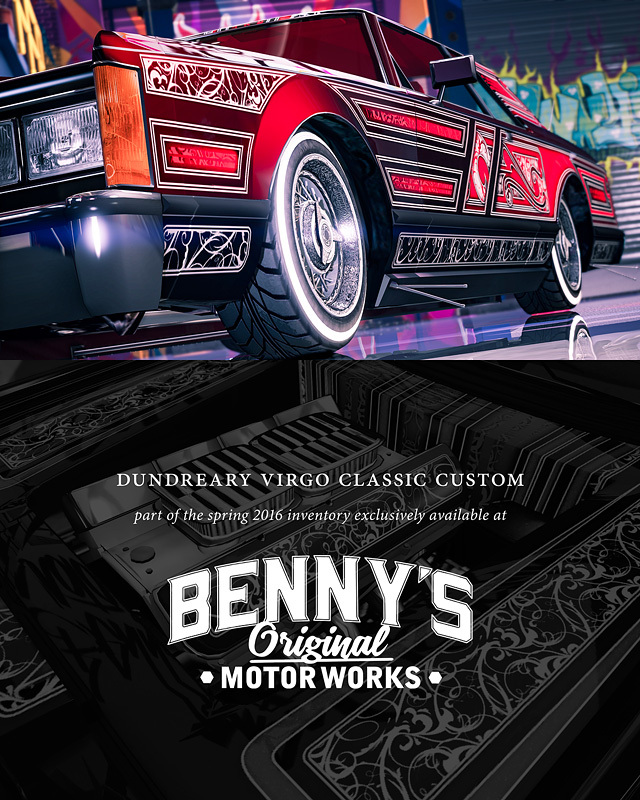 Sounds like a decent addition to the ever expanding selection at Benny's! 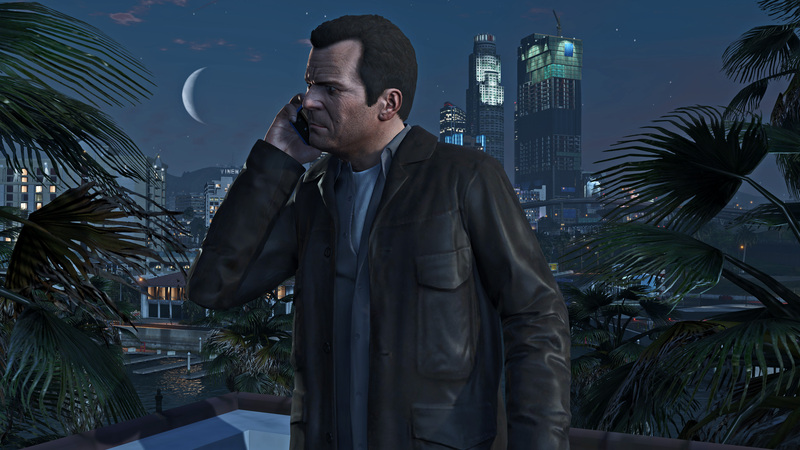 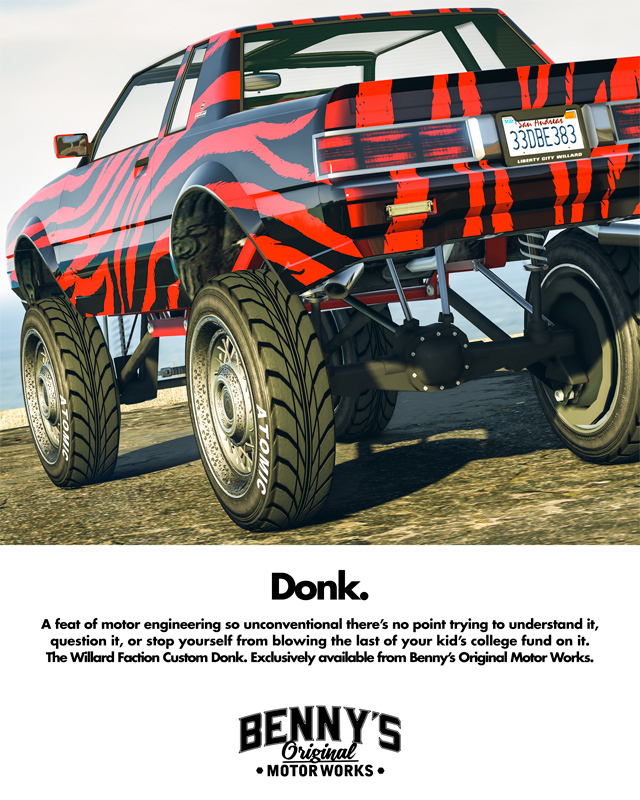 Be sure to drop by the Forums if you want to talk about the latest additions to GTAO! 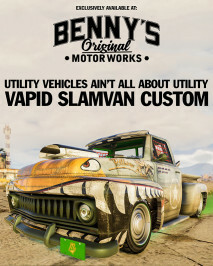 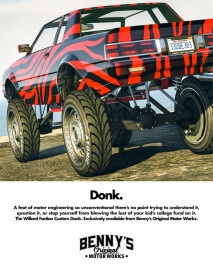 3 New Vehicles Being Added To Benny's For GTA Online - Benny's Original Motor Works is getting some new rides. 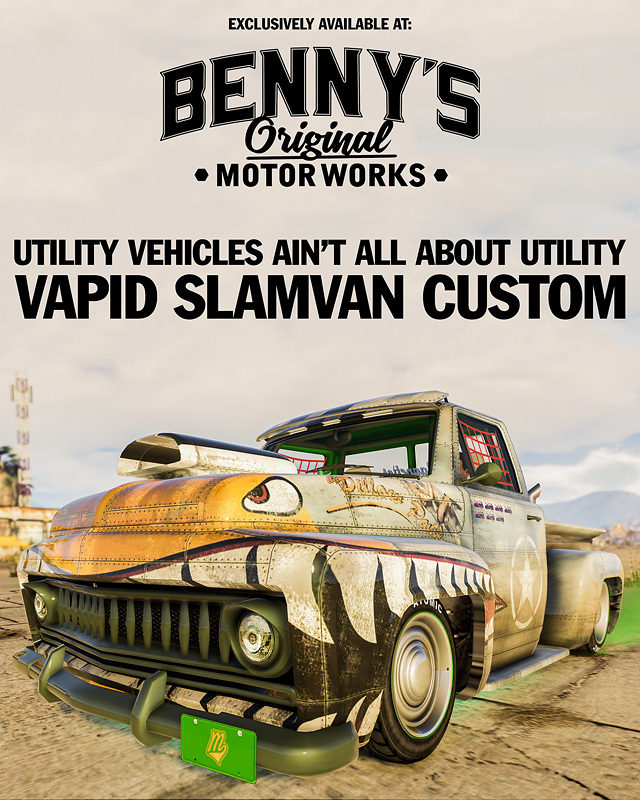 The Slamvan Custom, Virgo Classic Custom, and Faction Custom Donk are being added to GTA Online Tuesday, March 15th.